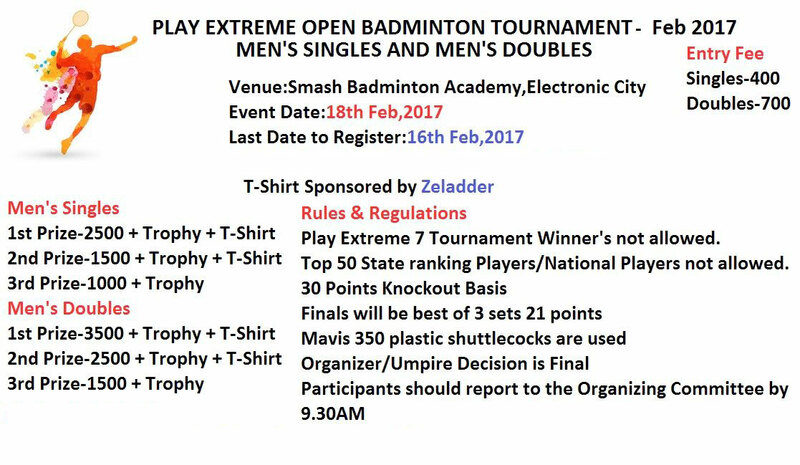 Play Extreme brings to you another edition of their hugely successful badminton series with even better prizes, don't miss out and register soon!! Play Extreme 7 Tournament Winner's not allowed. Top 50 State ranking Players/National Players not allowed.